Let’s face it: these days, there is a blockchain solution to pretty much anything. Did anyone seriously expect that the music industry, which is worth an estimated $45 billion globally, was going to be immune to the distributed ledger disruption? No, I didn’t think so. There are several startups currently working on innovative ways to apply blockchain technology to music, as Allen Bargfred discusses in his article. While I agree with his view and share his optimism, I believe my excitement about these new possibilities comes from a different place: the potential for blockchain to make the music industry fairer to creators and artists. Take streaming services, for instance. They are becoming increasingly popular. The British Phonographic Industry (BPI) estimates a growth of 82% in 2015. Plus, Spotify reports having paid more than $3 billion in royalties since 2008. From a legal standpoint, these services might be better than having people simply downloading pirated content. Yet, the platforms still have many significant shortcomings, like overall lack of transparency, slow payments of royalties and high administrative fees reducing the amount that is effectively paid to artists and rights holders. Blockchain technology could help artists to receive fairer compensations in at least two ways. Firstly, by having a database in which detailed copyright information is stored. Secondly, by creating the possibility of micro-payments that go directly to the pockets of the ones who should be getting them, instead of passing through a long list of intermediaries. Every music piece contains at least two different types of copyright, one related to the composition itself and other related to the recording. In the current state of the music industry, each of these rights is typically held by a different owner and generates a different revenue stream. In a very simplified manner, once a composition is created and written down on a fixed medium, it already holds a copyright, regardless of any registry. Songwriters and composers usually assign this right to a musical publisher, which retains the copyright and issues licenses to several types of organizations, including record companies (which hold their own copyright once the recording is made and also hold a mechanical license for making copies of the work), sheet music printers, movie studios (which hold synchronization licenses to use the song in soundtracks), foreign sub-publishers and others. If this sounds complicated to you, is because it is. To manage this chaotic amount of different rights, a complex structure was developed. The music industry was turned into a complicated array of publishing and recording agreements and other licenses. This means that finding who is the owner of a determined right in order to obtain a license can be difficult or even impossible. A large number of intermediaries on the industry also means that a very significant proportion of royalties are not received by artists, either because it is hard to determine how much one is supposed to receive or because of costly administrative fees. It is estimated that only less than 20% of Spotify’s payments make it through to the artists, while record companies receive 55% of them. In this particular case, blockchain technology could be used to help disentangle the situation and create a more efficient system by keeping a comprehensive database of music copyright ownership containing up-to-date information that can be accessed by anyone interested in it. To make matters worse in the current industry, even if an artist is found to have a certain right and is supposed to receive royalties, it can take years for the money to reach his or her bank account. To solve this problem, blockchain smart contracts could be used to automate payments when the specified triggering conditions are met. They could set the terms under which the music can be downloaded and used, as well as the percentage of royalties to be destined to each copyright holder. The payment of royalties in these previously agreed proportions could then be made as soon as the track is downloaded or streamed, even if they are mere fractions of cents. The problem of adequate compensation for artists and rights holders could thus be solved with instant micro-payments, which are now feasible with cryptocurrencies like Bitcoin and Ether. 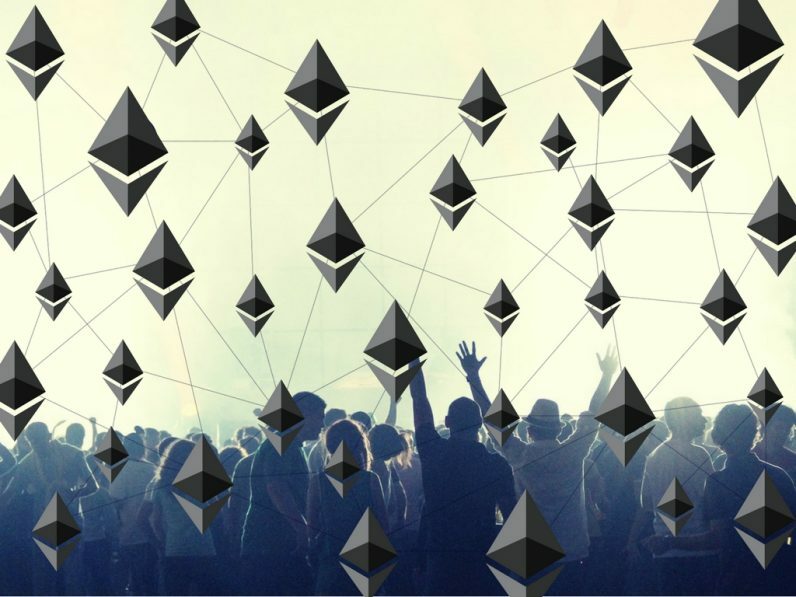 These are just two of the many possibilities created by the adoption of blockchain technology by the music industry, but there are many others. I honestly can’t say that I know what is going to happen, but I definitely hope it will lead to the development of a more balanced and fair music ecosystem, one focused on artists and consumers and not on opaque record labels.